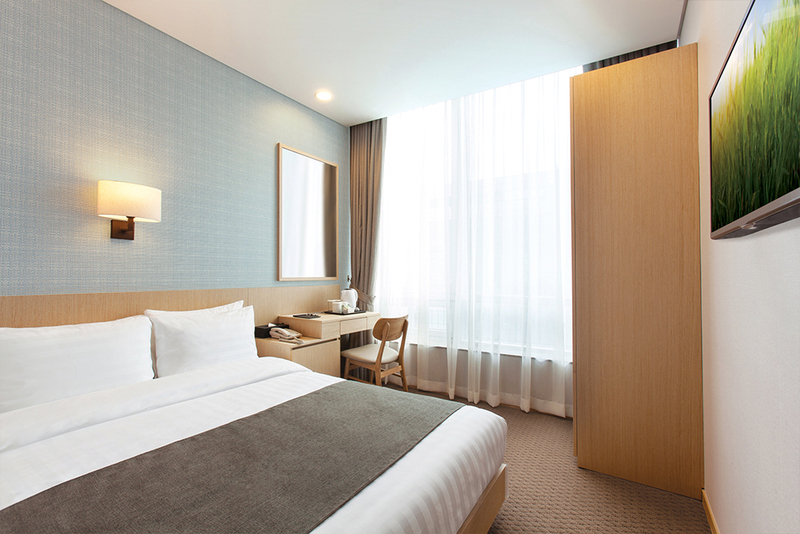 The room ‘Business Double & Twin’ provides with very convenient and comfortable stay, which is able to upgrade your relaxation and business beyond the expectation with a classic feeling. 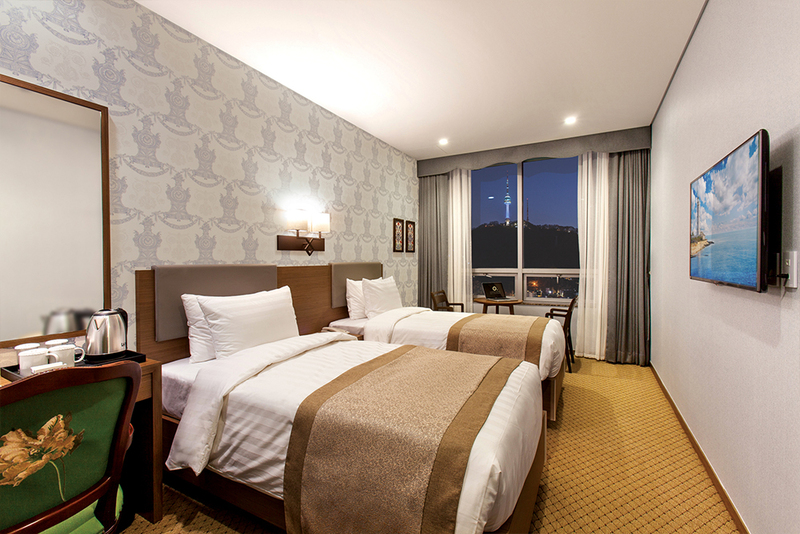 The room ‘Standard Double & Twin’ provides with very comfortable relaxation in the mood of pleasant atmosphere and the modern interior. 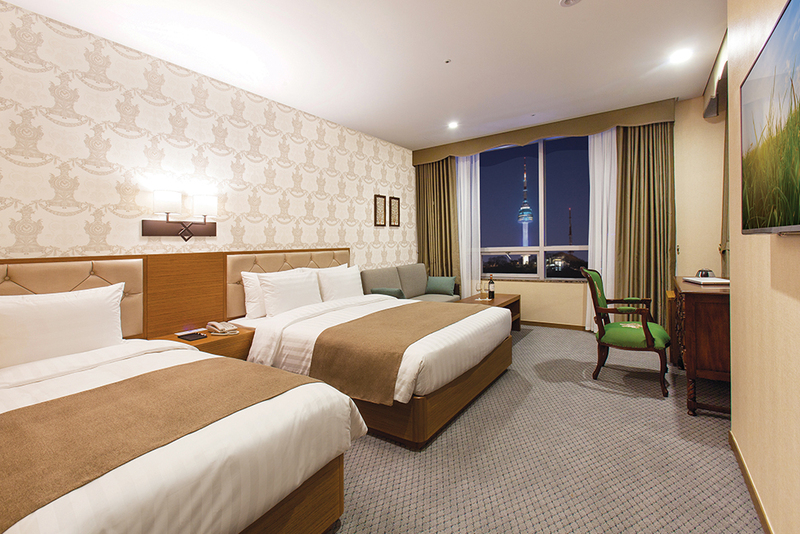 The room ‘Superior Double’ is equipped with a luxurious interior with modern facilities to further complement the taste of the customers in the spacious room, which you are able to enjoy the spectacular views of Myeongdong and a seasonal beauty of Namsan. 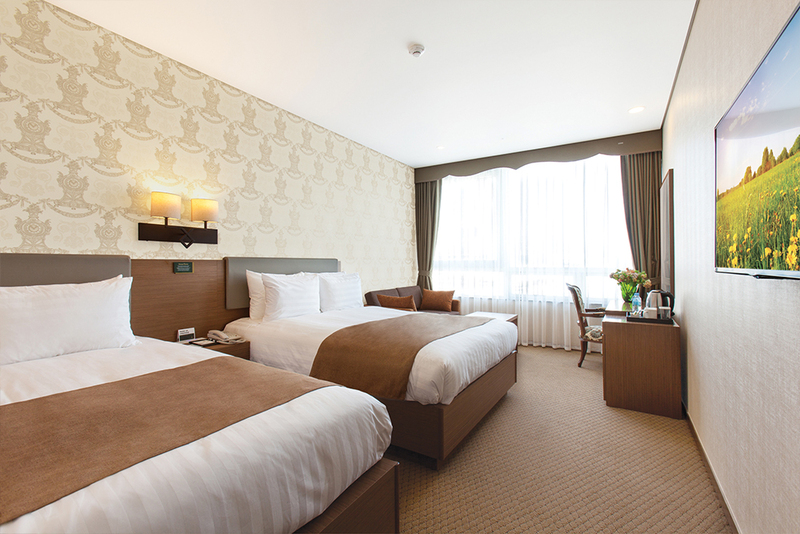 The room ‘Deluxe Twin’ is very spacious and offers you a relaxing space to make sure family and group tourists can experience the utmost convenience through relaxing atmosphere in beautiful interior. 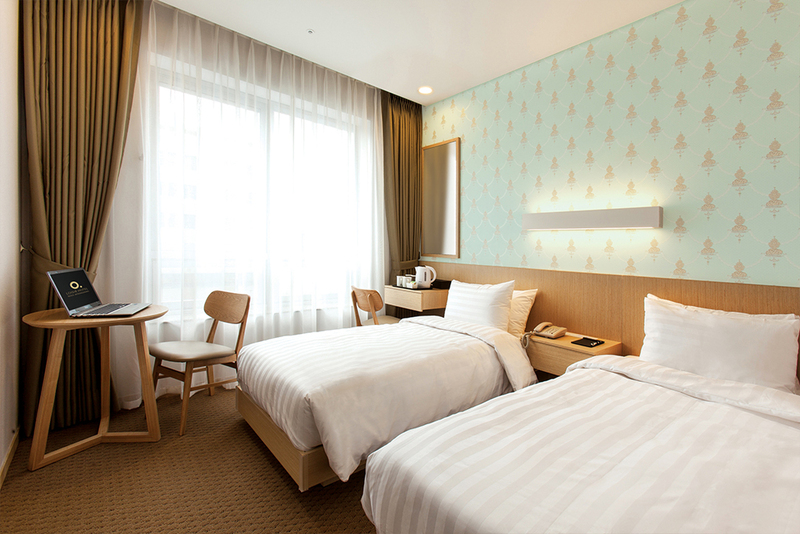 The room ‘Premier Twin’ provides with a cool and wide view to overlook Myeongdong at a glance and relaxation in cozy and comfortable interior to make sure to have refreshing night. The room ‘Junior Suite’ is equipped with spacious relaxation to provide with tradition and modernism together committing to make our valuable guests have the utmost comfortable stay. 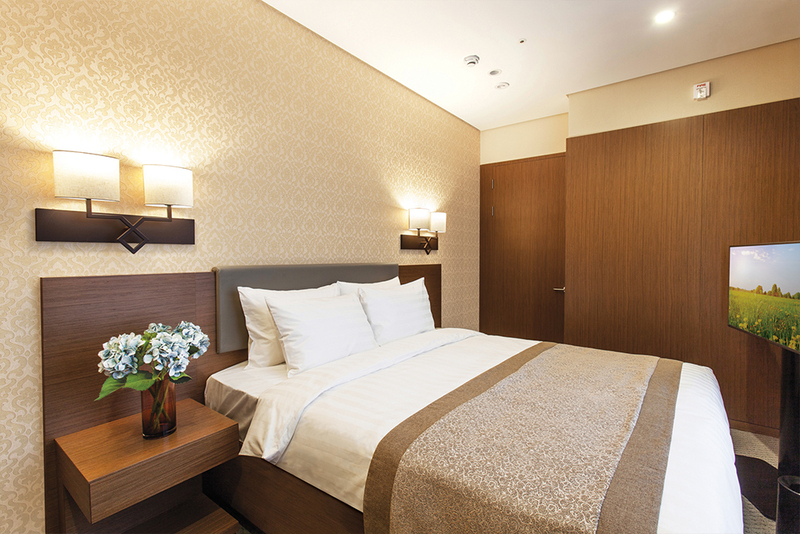 The room ‘LOISIR Suite’ provides with the comforts of home with warm and soft bedding and relaxation. 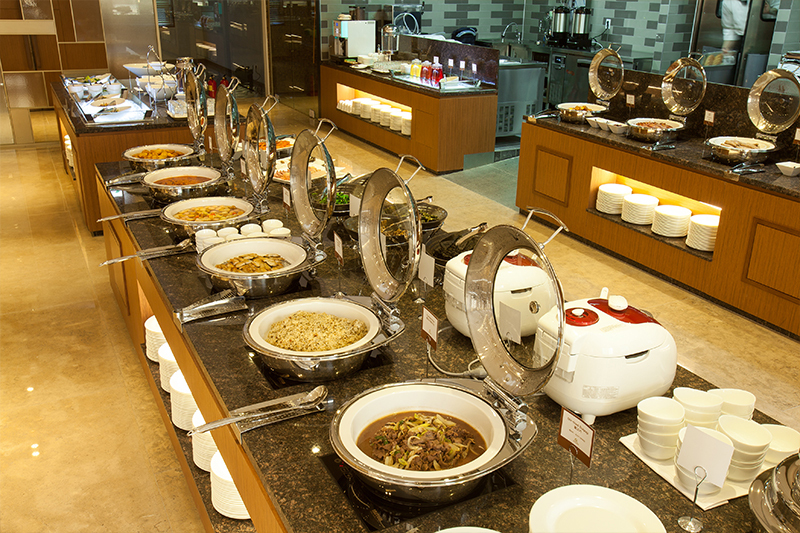 You deserve to have beautiful night at Myeongdong, with elegant interior design and the comfort of the highest level of sophistication and contemporary suites.